Unique in Gaspésie, The Festival Musique du Bout du Monde is one of the most popular events in the region. It’s a festival involving mainly the forefront of the niche world music and is defined by its family clientele. It is a place of exchange between the Gaspé culture and other world cultures. 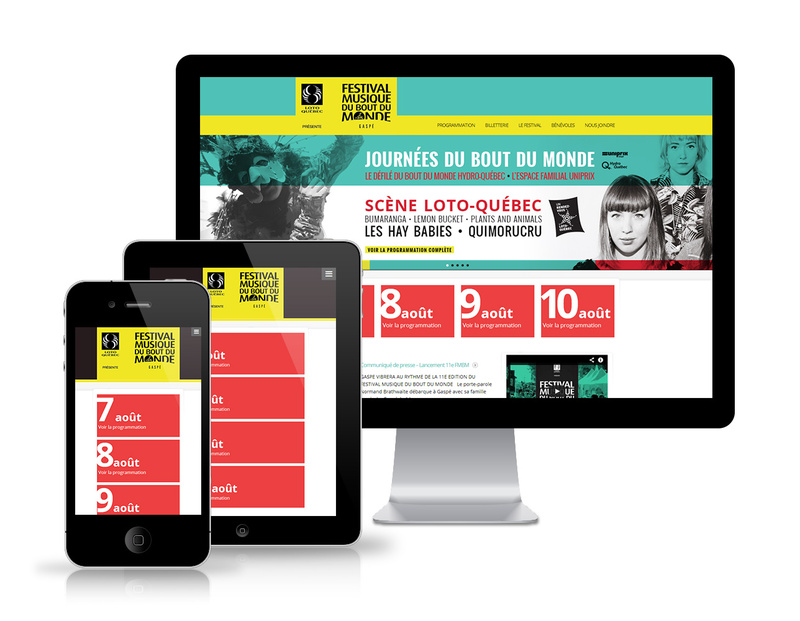 Since 2012, le Web simple, in collaboration with other graphic design in the region, propels the festival website. Each year, the website is revisited by the developed visual for the new program. We develop a display system for the program as well as booking and online purchase per form. New in 2016, the purchase of passport and tickets is via the Weezevent system. The website is responsive, which means it is compatible with mobile and tablets.